We know, we know. 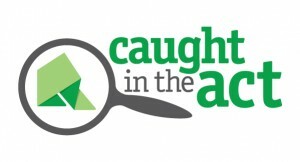 You’re all still fresh off a weekend of rambunctious kindness revelry and exhausting efforke-ing, (or “E4K-ing”, if you don’t speak Sergei), but we have another round of exciting news: our Caught in the Act (CITA) 2016 public vote has concluded and a winner has been selected! Of course, we have you, our supporters, to thank for getting us here: over the past few weeks, you’ve tirelessly submitted votes and urged friends and family to cast their own ballots as well, even as many of you were busy planning for the big E4K weekend (during which a whopping $55,000 was raised—and counting!). We can’t thank you enough for the assistance you’ve rendered and the kindness you’ve spread, so let’s get right down to it. The votes have been tallied, and the results are in—and this year’s CITA public winner is SreyRam Kuy! As we detailed in an earlier post, this year’s round of finalists made the staff vote (and we’ll bet the public vote as well) a more difficult decision than ever before. In the end, our staff vote winner, Elias Matar—who impressed us with his incredible work for Syrian refugees fleeing the civil war—was joined by public vote finalist SreyRam, whose own story and subsequent efforts unsurprisingly left a major impact on our supporters as well. SreyRam is a refugee and a child survivor of war and the Cambodian genocide, and “has always had a deep passion and commitment to caring for underserved populations”, according to the person that nominated her for this year’s CITA award. “After her life was saved by a volunteer surgeon in a Cambodian refugee camp as a child, she went on to become a surgeon herself”, the nominating party explained, eventually becoming the chief medical officer for the state of Louisiana’s Medicaid program, which serves approximately 1.6 million people. There, SreyRam implemented a Zika prevention strategy for pregnant Medicaid patients; worked to ensure women have access to BRCA testing and coverage of contralateral breast reconstruction for breast cancer; and, during the massive Louisiana flooding, “traveled to shelters, coordinated medical efforts, and spoke at town halls with flood victims to educate about flood health hazards such as mold treatment and tetanus shots.” Currently, she is working on a number of projects to help low-income patients, including fighting back against the ongoing opioid crisis “through initiatives such as doctor training, public education, limits on opioids, and dosing guidelines”. Over the holidays, instead of purchasing gifts for friends, SreyRam and her sister organized a fundraising benefit for the Nomi Network, an organization combatting human trafficking. “Giving back to the community is important to SreyRam because of her own personal experiences of overcoming adversity and surviving a genocide,” the person who nominated her wrote. For all these things, and for being an outstanding example of turning personal hardship into something incredibly beautiful, our followers decided to award SreyRam Kuy the 2016 CITA award. Congratulations, SreyRam, and thank you to all of our runners up for being phenomenal kindness heroes all your own!